Tom Farrell makes a welcome return to the ring on March 10th, when he headlines an exciting night of boxing at Liverpool’s BT Convention Centre. Last September, the Scouser lost his 13-fight unbeaten record when he was beaten by Ohara Davies for the vacant WBA International super-lightweight title. Farrell and Davies were at loggerheads before the contest, with controversial Londoner Davies predicting he would KO Tom in front of his own fans at Liverpool’s Echo Arena. Unfortunately for Farrell, he was downed heavily by a big left hook at the end of the opening session and, although had some success, never recovered and was stopped in the sixth round. Having learned from the painful experience, Tom says he is looking forward to topping the bill on the upcoming VIP Promotions card, and will show he is an improved fighter. The likeable Liverpudlian doesn’t rule out a future return with Davies, and is aiming to get back into title contention in a busy 2018. “It’s in the past but I’ve learned a lot from it,” reflected Farrell on the Davies defeat. “I learnt more in that fight than I did in the previous thirteen. I’m not dwelling on it though. Obviously, I’m gutted I lost, but I’m over it and it was a valuable learning curve. I don’t think he was anything special, but he caught me early on after a little switch-off, and I was always fighting a losing battle then. “It was a massive occasion and I was telling myself not to be too nervous or let the occasion get to me, but I should have remained more switched-on. I just switched-off in that first round and he caught me with that big shot. If I boxed him again I’d box him completely differently; go and put it straight on him and take his big arms away from him. I’d love to fight him again. I don’t think that night was a fair reflection of how good I am, and I know I could do a better job next time around. “Tom got caught, and that’s boxing,” said VIP Promotions’ Steve Wood. “He showed plenty of heart in defeat though, and even had the better of Davies at times, so he hasn’t done his career any harm. We’ll look to get back into title fights soon, and I’m looking forward to seeing him back in action on March 10th. 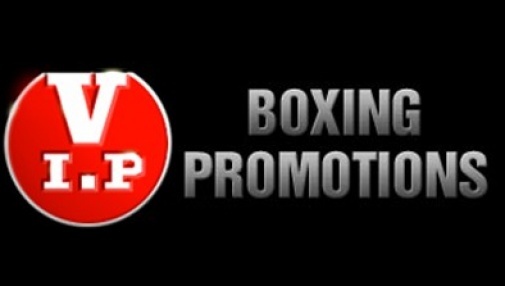 VIP Promotions present an evening of boxing at Liverpool’s BT Convention Centre on March 10. Topping the bill will be Liverpool’s Tom Farrell, with an undercard of local fighters including Luke Willis; Lloyd Campbell; Nathan Bennett; Marcel Braithwaite; Nathan Quarless; Mike Gerrard, and Gary Austin. Also appearing will be Warrington’s Mike McKay, and Lee Quinn from Wales. Tickets £40 (ringside tickets are now sold out) are available directly from the boxers, or call 01942 874 241.